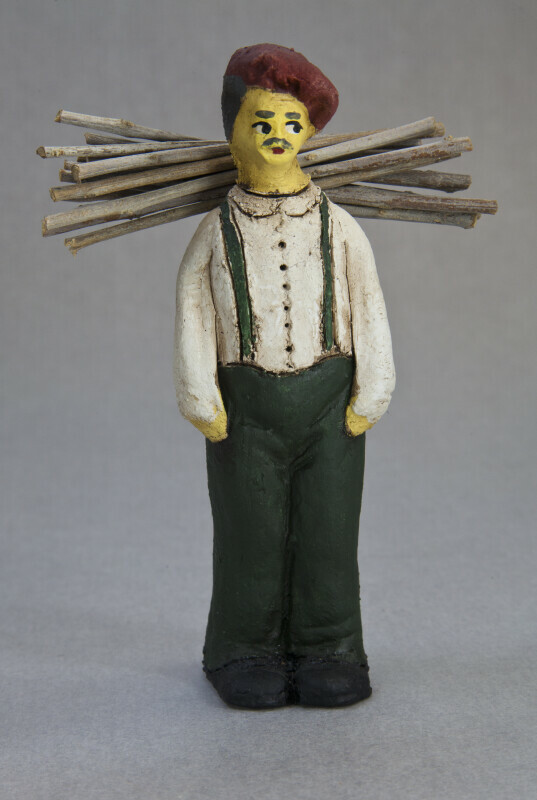 Ceramic male figure of worker in Cyprus. He is wearing baggy trousers with suspenders and a white shirt. On his head he has a maroon beret. His face is hand painted, with a mustache, eyes, nose, and eyebrows. He is carrying a load of sticks on his back. The figure is 6 inches (15 cm) tall.